Saturday afternoon Travis, Goober and I went to one of the coolest first birthday parties around. 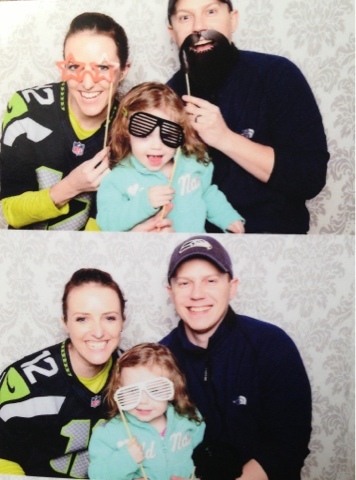 Not only was it a Seahawks themed lunch, there was a football pinata and even a fun photobooth for the guests. Of course when there's a photobooth, there's always props...and mustache/beard combos. ;) So we definitely took advantage of getting a family photo. What do you think? Thanks for an awesome 1st birthday party, Baby Big Boy L and family! The rest of the weekend consisted of running, running around, driving over 150 miles around the area and watching the Seahawks dominate against the Redskins. It was a good game! And it was a really great weekend. A half hour ago I took Goober out on a specific running route to see these beautiful blue lights around two huge trees (about 1.5 miles away from our house). Turns out that the family took down the lights...THIS MORNING. Crap. It was such a stunning display, I won't let Goober miss it in December. Oh well. 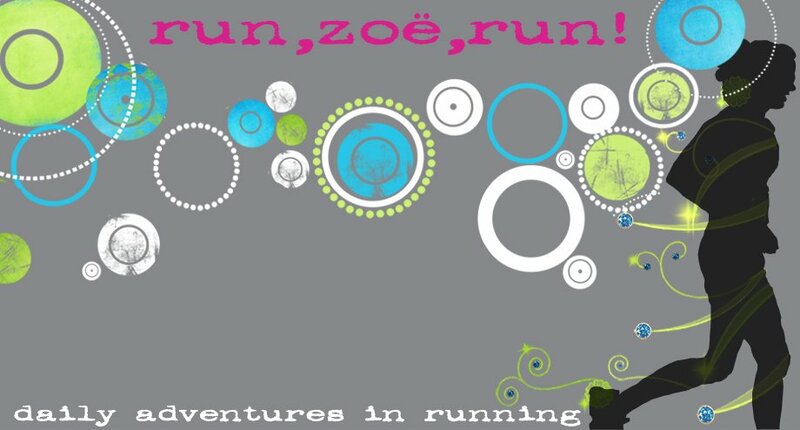 At least I'm happy to say that I just completed day 7 of the running streak of 2013. YAY! Woohoo! How's your 2013 so far? What a great idea...and even cuter family pic!! GO hawks! Awesome game! How dare that family take down their lights before Goober could see them! I love photo booths!!!!! I always look like a complete dork in the pictures, but they are fun to take. Go Seahawks!!!!! Love the stash, I need to get one of those!